Nearly started off with an interesting typo! “Good Thongs From the Yard” – that could have raised some eyebrows! Spring is here and good things are showing up. One of the yards that hosts a couple of hives also has chickens. 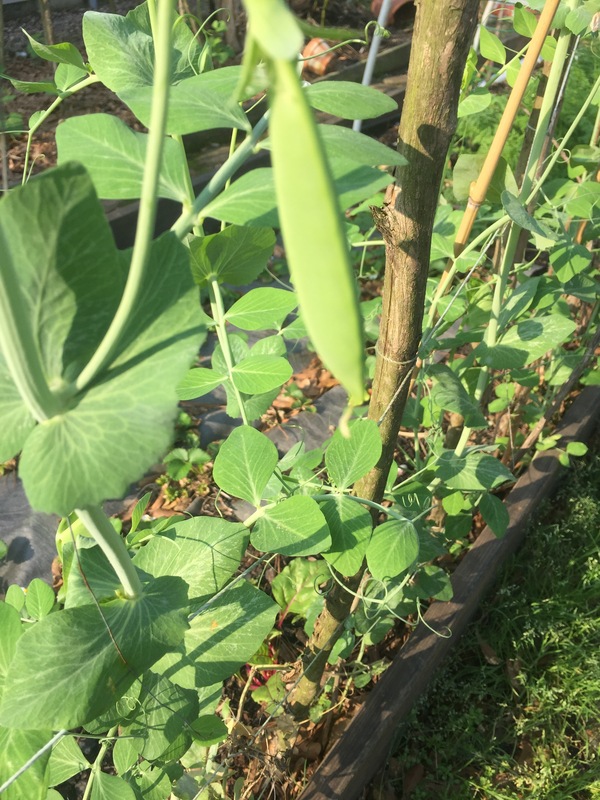 For my garden I receive some chicken fertilizer…. nice way to say it! Almost as good are the excess eggs I receive. Yum! Little ones, medium ones and big ones! 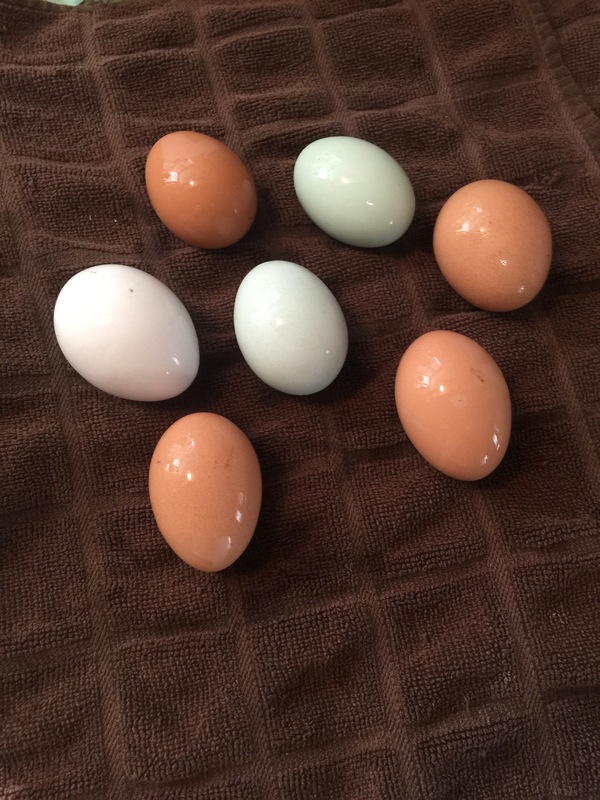 He has about 20 chickens and they are laying very well now! 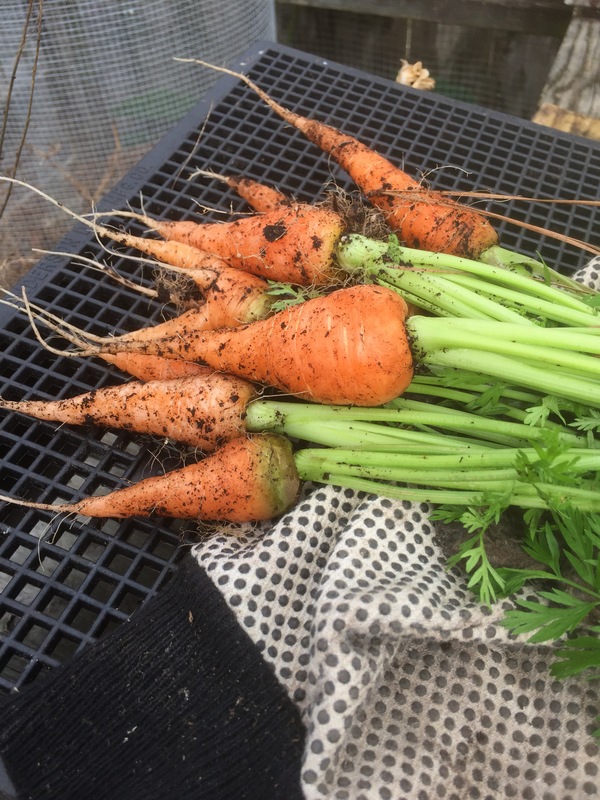 Carrots, I grow short ones because of my clay soil. They may be short but they are very sweet. Unwashed but yummy. I put them on the grill the other night with some asparagus and chicken. Very yummy. When the sugars carmelize they are so yummy. 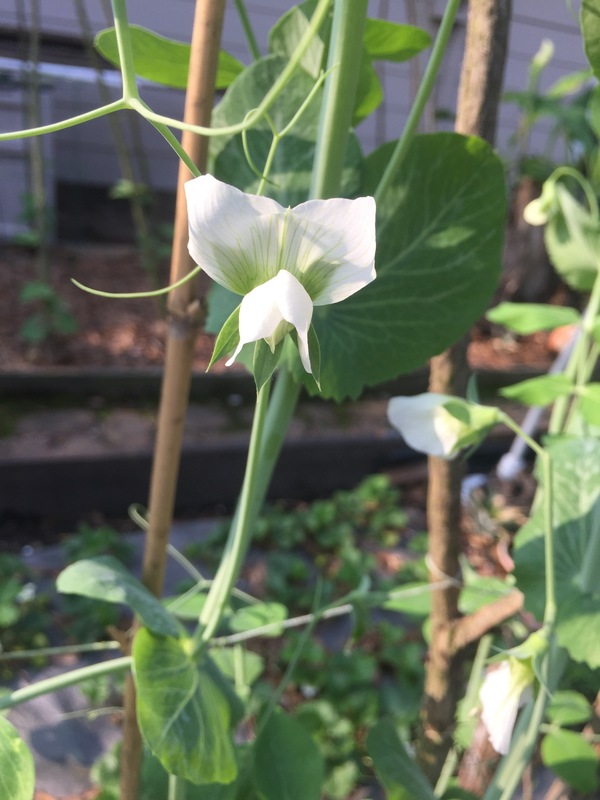 Snow peas and sugar snaps are blooming and producing. 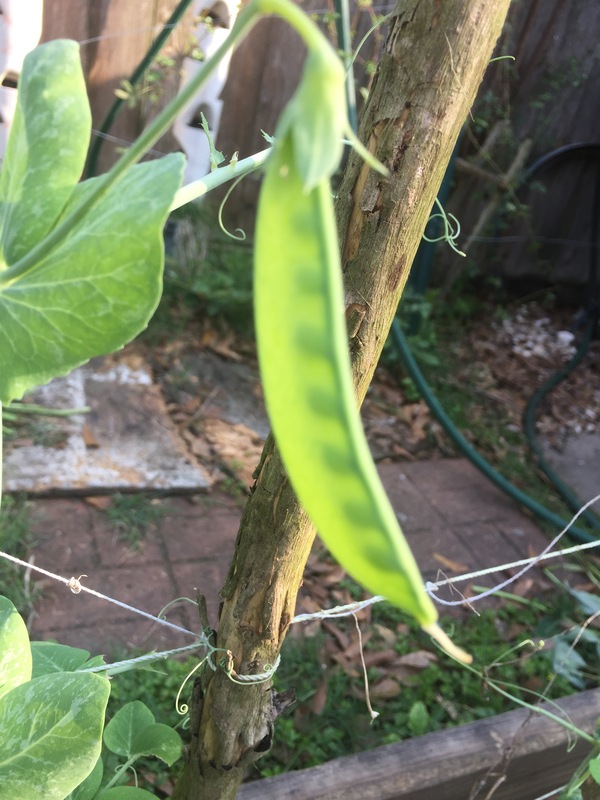 The early pods never make it to the house. Insert smiley face and tongue licking lips here! 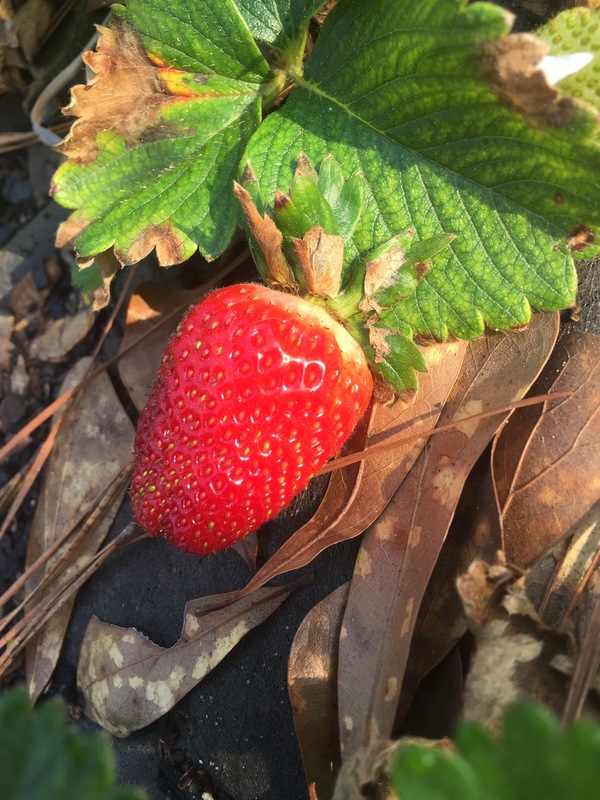 And yes…..strawberries. I have made two batches of preserves so far. One plain and the other with vanilla. I am hoping for so much more. And bees too. 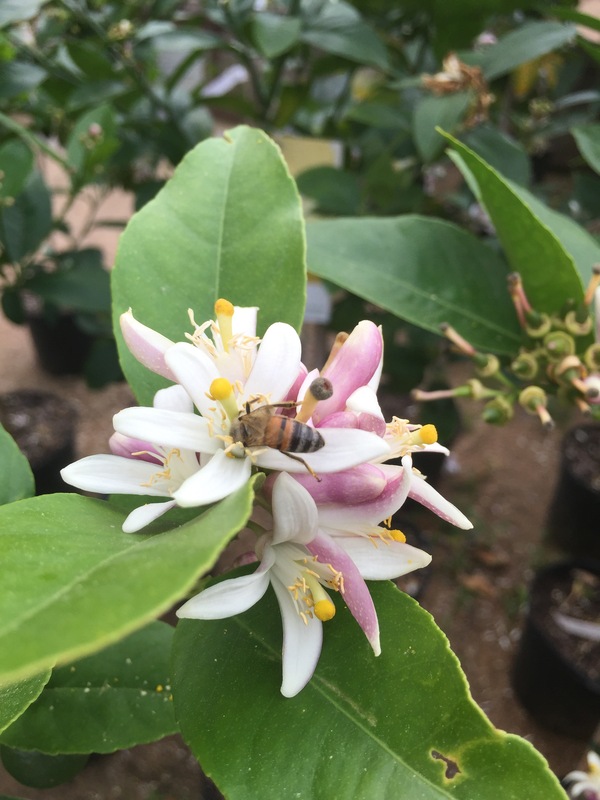 The Meyer Lemons are blooming and the bees are working. Mine and many others. Such remarkable creatures! Ok, enough for now! Just one sting today out of 6 hives inspected today! I can always attribute a sting to a faux pas on my part! Yes, I have made a mistake or two! Most of the time I have no swelling but this one……hit my left hand and sure enough – a little ballooning on the back of my hand. Ok Hun- please kiss it and make it better.